In order to teach a specific subject, you need to have an endorsement. 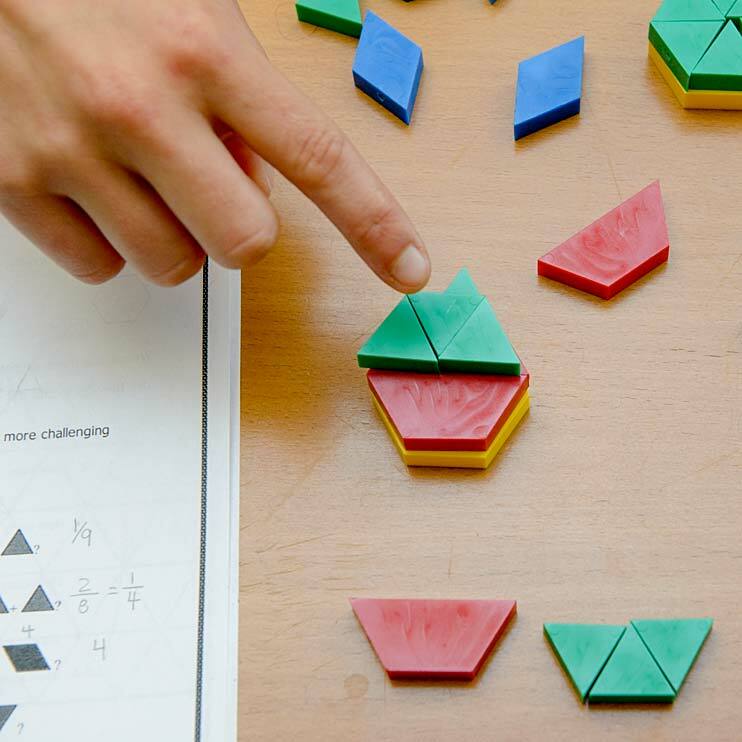 Endorsements come with different levels, equivalent to the grade levels you can teach at. 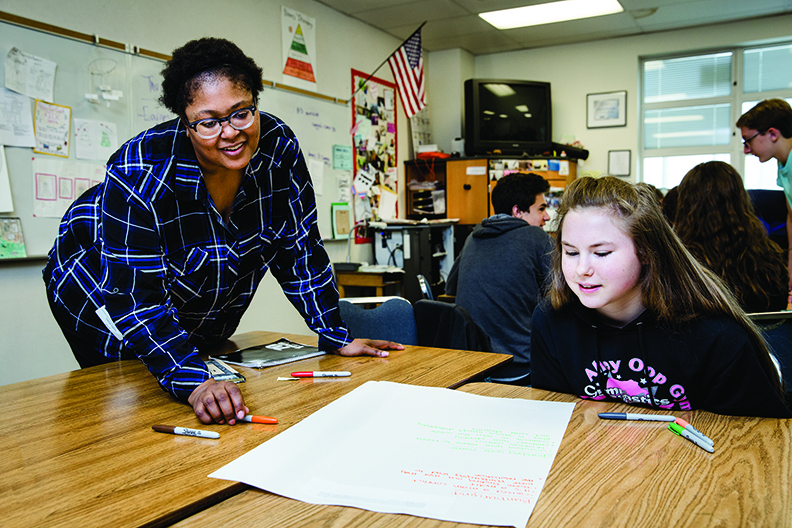 Hadiya Biglow, MiT 2018, works with a high school student in an English Language Arts classroom. All Level: P–12 endorsements cover a subject area that you can teach at any level, from birth (preschool) all the way through high school. Most P–12 endorsements require a second endorsement. Elementary: K–8 is the state endorsement for teaching elementary school. You’ll be prepared to teach in schools where students stay in the same class all day long. Middle: 4–9 endorsements specifically prepare you to teach in intermediate, middle school, or junior high schools. Secondary: 5–12 endorsements prepare you to teach in any intermediate, middle school, junior high, or high school, where teachers teach specific subjects and students move from class to class. 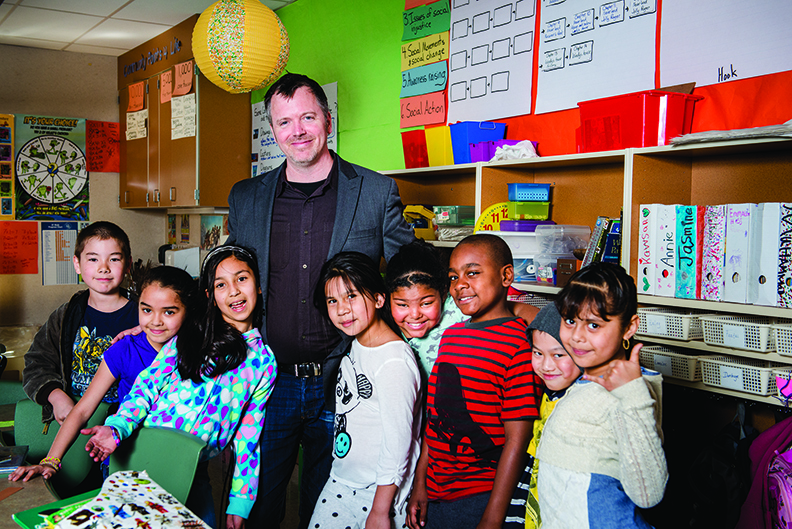 Ryan Reilly, MiT 2007, and his students at a Seattle elementary school. Evergreen offers endorsements in multiple areas, including some that are offered at only a few places in Washington state. Successful applicants to MiT will meet or exceed the minimum coursework expectations for one endorsement area, documented on the worksheet. Download the worksheet for your selected endorsement to see what coursework and other things are required. The WEST-E Code tells you which tests you need to take for your endorsement in addition to the WEST-B. Find out more about required tests. View a sample worksheet. Upon application, submit worksheet with courses completed, planned and in progress. List all worksheets in quarter credit hours, converting semester hours to equivalant quarter credits. Successful applicats will meet or exceede the minimum coursework expectations and have most of it done by the time of application. * Foreign language endorsements also require the ACTFL Oral Proficiency Interview (OPI) or computerized interview (OPIC) and the Written Proficiency Test (WPT) from Language Testing International. These proficiencies must be passed at the advanced low level. Applicants must select one or more endorsement areas upon entrance to the MiT program. Learn about the MiT endorsement requirements.